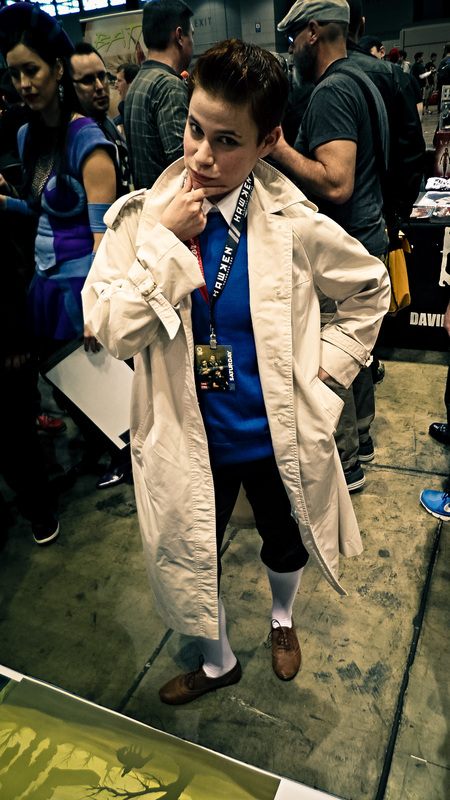 I feel like I need to clarify now: this was my first time going to a convention, and I decided to dress up as one of my favorite comic book characters—Tintin. I know that’s not the best clarification, so let me explain. Back when I was a freshman in college, I took a class that focused on film adaptations of books. In this class, we would read the book first, then watch the movie, and compare the two. 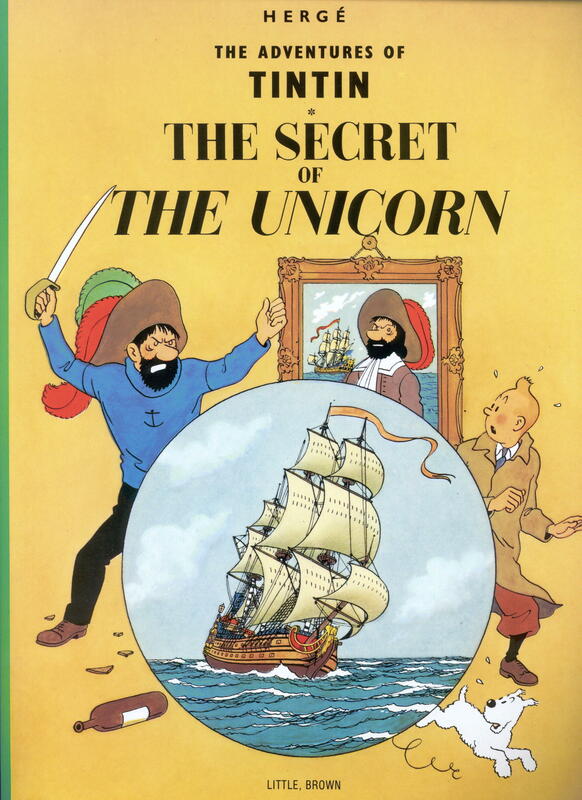 One of the books on our reading list was a comic book called The Adventures of Tintin and The Secret of the Unicorn. “Tintin?” I thought, long ago and so naïve. “Like Rin Tin Tin?” Oh no, it was so much more than that. The Secret of the Unicorn was one of the comic books that inspired the Spielberg/Jackson film adaptation that came out in 2012, which we watched in class. In that moment, I was hooked. I bought all of the comics and read them, watched most of the film and television adaptations, and I even went to the museum in Belgium. No, seriously. I really did. 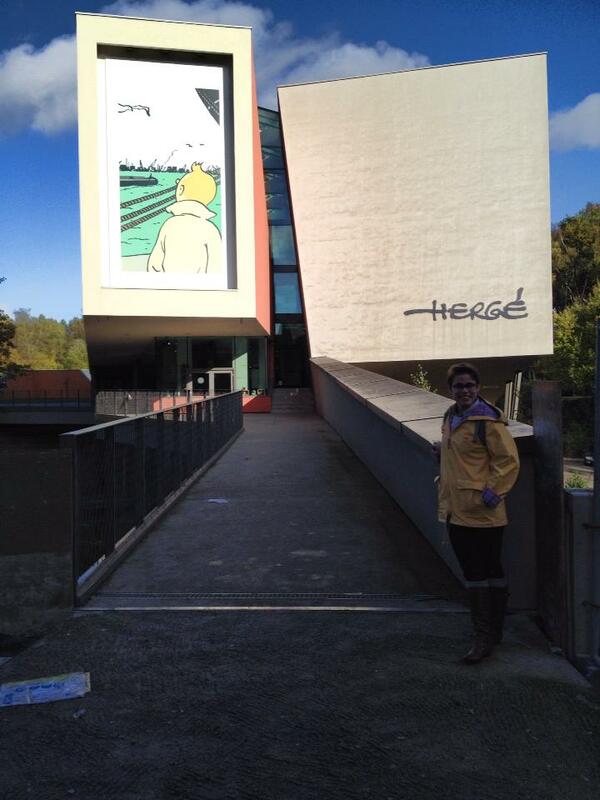 In between the time I read the comic books and went abroad, I made the decision to dress up as Tintin for Halloween. 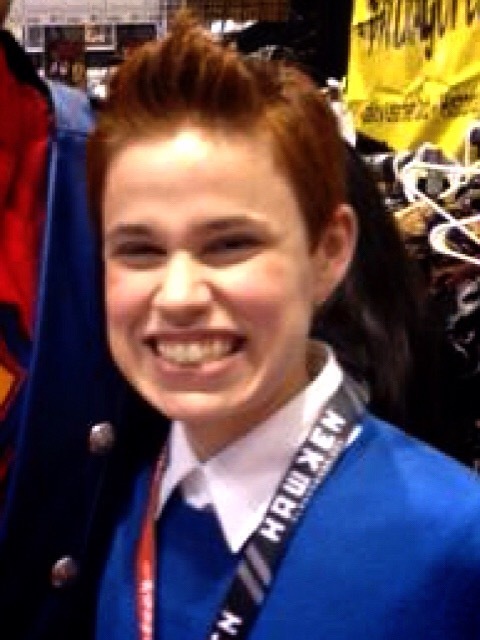 After that, I took my costume to the next level, and wore it to C2E2 my sophomore year. Why Tintin, though? Why did I become so obsessed with this particular comic book series? In order to explain, a little history is needed. The Adventures of Tintin were written by Hergé, a Belgian cartoonist, a series which ran between the late 1930s to the mid 1970s. The stories themselves are very easy to read, and they cover a large range of topics. The thing that makes the comics so great, though, is Tintin and the life he leads. Tintin is a young reporter—around the age of 17 or 18, I believe—who is also an adventurer. Okay, so he doesn’t report so much as he goes and explores and solves mysteries. Oh yeah, and he solves mysteries; Tintin is often compared to Sherlock Holmes because he’s so good at finding a logical explanation for any unsolvable case. Tintin is also very kind, sensible, and funny. These factors are what make The Adventures of Tintin so compelling to me, because they take me out of the real world and put me in an instant adventure. But it’s not always about the adventure or the mystery, but the characters and the comedy that is woven in to each story. 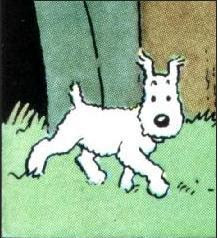 Tintin is accompanied by Snowy, his loyal fox terrier, who often times is a voice of reason and has a propensity to get drunk. Plus, he’s cute. What more could you ask for? Along with Snowy, Tintin is later accompanied by Captain Haddock, a cantankerous sailor who loves whisky and is a magnet for injury. 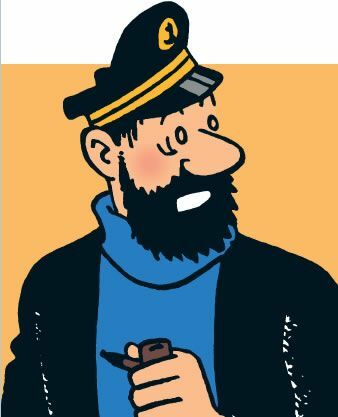 Captain Haddock is Tintin’s foil, since he is so rough around the edges, but Haddock truly has a heart of gold. He cares for Tintin and goes on these adventures with him, and saves his life on several occasions. But Haddock’s a bit of a potty mouth, in the most hilarious way possible, though. Haddock’s main catchphrases include: “TEN-THOUSAND THUNDERING TYPHOONS!” and “BLISTERING BARNACLES!” This guy kills me. I love it. I could honestly talk about Tintin all day long—if you couldn’t tell—but that’s not what I’m really here for. I rarely read comics, and when I do, I read the comics that I’m used to (ahem, Batgirl), and I hardly branch out. The Adventures of Tintin is a very easy-to-read series that gives great entertainment, especially for someone who is not used to reading comics. If you’re thinking about getting into the world of comic books, consider reading the Tintin series. If I haven’t convinced you already that it’s the most adorable, fun, and compelling collection, here are some other points to consider. 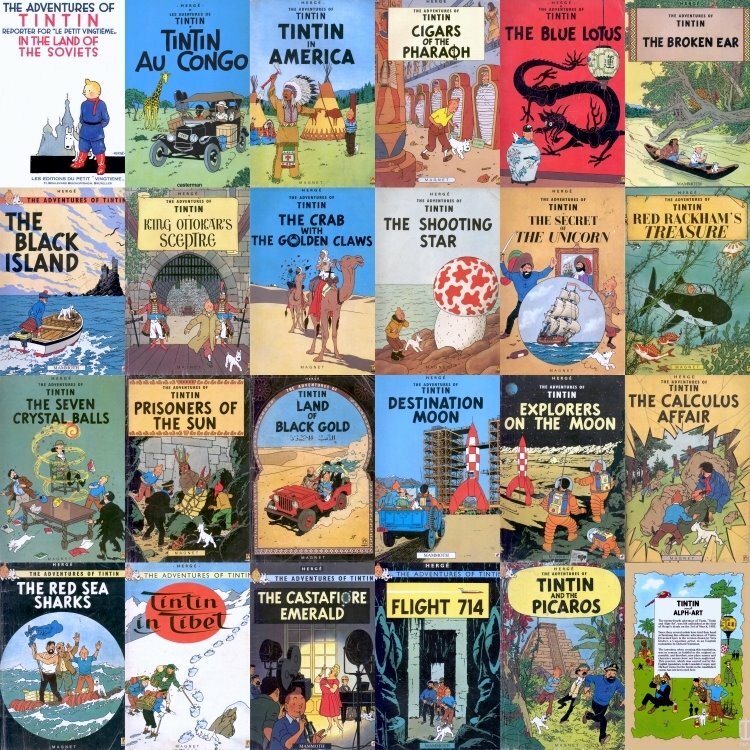 If you don’t want to read the entirety of the Tintin series, there is a story to peak anyone’s interest. Because Tintin travels to so many places, the comics feel like a “Choose Your Own Adventure” series, which makes the revolving storyline exciting for the reader. Additionally, there’s a mystery for everyone. If you’re a fan of the Sherlock Holmes stories, you probably have a favorite story—or stories—and the Tintin series is comparable to this. One of my personal favorites is The Black Island, because Tintin goes to Scotland and solves the mystery of a reportedly haunted castle. Jinkies! It’s easy for any reader to pick their favorite story in the Tintin series, because there’s a story to interest anyone. Also, the Tintin storyline is fairly easy to follow of you start midway in the series. Occasionally, there will be a reference to an event from an earlier book; for the most part, though, the stories can stand on their own. This makes readability easy, especially if you don’t want to be weighed down by 23 books. If you do decide to read all 23 books, they’re very fast reads. In my opinion, most comic books are fairly easy to get through, because the plot is told through pictures and dialogue. Tintin is the same way. I got through the 23 book collection in about a month’s time, which is about how long it took most of us to get through the Harry Potter series before the last movie came out. Oh, and another plus, the books can be purchased/read in collections, so one book contains three comics. That’s good math when it comes to money. If anything, I hope that I’ve convinced you to go out and read at least one of these comics. I guarantee a charming read that will bring a smile to your face. It certainly did for me. The image of me in costume was taken by Jeremiah Lambert, who is an awesome artist. Check out his work here! Next Post Funday Friday: It’s Levi–OOOOO–sah!